Aug 14, 2017 at 09:55 AM | 475 Views | Last edit Aug 07, 2017 at 06:45 AM 2 rev. 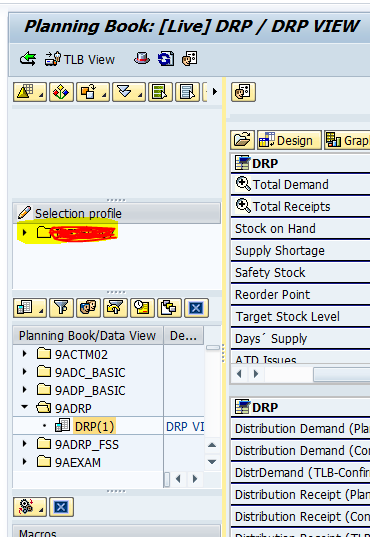 If you open transaction SDP94 in SAP APO, on left hand side, you find the side screen were you can choose your selection profile and plannings book etc. Accidentally, i draged the window to the left to minimize the window. No i've got the problem that i i'm not able to drag it back any more. I cannot resize the sidescreen to the original measures. I can see the 3 dots, but when i move the mouse arrow to the dots, no arrow appears to resize the screen. I think it has something to do with resolution or with a Windows issue. Is there someone who has this issue before and is there a solution to get my side screen back in the normal measures? It usually happens in Citrix Environment. If you were using the SAP Logon installed in your PC, then you might not be facing this issue. 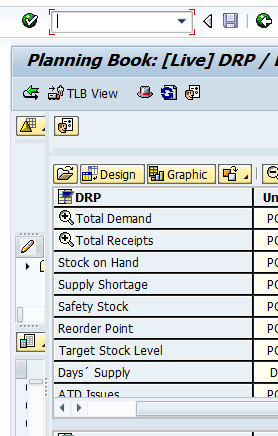 There are the following solutions..
1) Technical Solution --> Each and Every bit in SAP do saved in a Database Table. 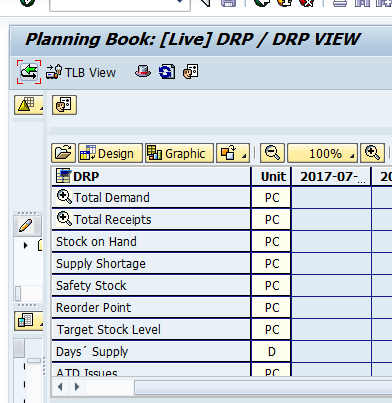 Try to find out the field or Table where the planning book's navigation bar get saved. Also note that the table is standard and so you may need Basis Team's help in order to change the field value in that table. 2) Functional Solution --> Go to your client side and request someone who is having the SAP Logon installed on their system without Citrix Usability. Login with your credentials and there you go..
3) Logical Solution --> Just a need of common sense. You can get it in easy 3-4 tries. But be patience and follow the below procedure. Lets say that this is my initial view. Click on the T-Code area and gently press on the TAB key in your keyboard. While you press the tab key, you can notice that your cursor shifts to the next object in the screen. After 5-15 presses(depending on the number of objects in your screen), the shift will be placed on the navigation bar due to which the whole bar will become yellow. Once this is achieved, please remove your finger from tab. Use the RIGHT Navigation Key(LEFT, RIGHT,UP, DOWN) to drag the Navigation Bar right Side. And now the issue will be resolved.. please vote if this is helpful..